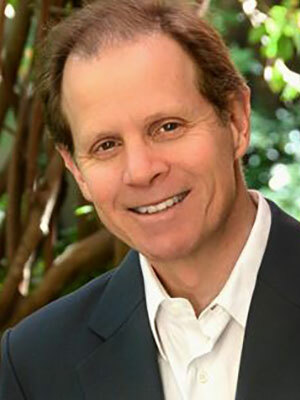 Daniel J. Siegel received his medical degree from Harvard University and completed his postgraduate medical education at UCLA with training in pediatrics and child, adolescent and adult psychiatry. He served as a National Institute of Mental Health Research Fellow at UCLA, studying family interactions with an emphasis on how attachment experiences influence emotions, behavior, autobiographical memory and narrative.<br><br>Dr. Siegel is currently clinical professor of psychiatry at the UCLA School of Medicine where he is on the faculty of the Center for Culture, Brain, and Development and the founding co-director of the Mindful Awareness Research Center. Dr. Siegel is also the Executive Director of the Mindsight Institute, an educational organization, that focuses on how the development of mindsight in individuals, families and communities can be enhanced by examining the interface of human relationships and basic biological processes. He serves as the Medical Director of the LifeSpan Learning Institute and on the Advisory Board of the Blue School in New York City, which has built its curriculum around Dr. Siegel's Mindsight approach.<br><br>Dr. Siegel's unique ability to make complicated scientific concepts exciting has led him to be invited to address diverse local, national and international groups of mental health professionals, neuroscientists, corporate leaders, educators, parents, public administrators, healthcare providers, policy-makers, mediators, judges, and clergy. He has lectured for the King of Thailand, Pope John Paul II, His Holiness the Dalai Lama, Google University, London's Royal Society of Arts (RSA), and TEDx. He lives in Southern California with his family. Join us to celebrate the veterinary profession, enjoy a delicious luncheon and learn something new you can use. Don’t miss Dr. Dan Siegel as he focuses on the human mind and the cultivation of well-being. Defining mind as an ‘embodied and relational process that regulates the flow of energy and information’ allows us to more fully understand the mind and then how to cultivate a healthy mind through the process of various forms of integration that create vitality, connection and meaning in our lives. You can use this view of mind to cultivate resilience and enable yourself to thrive in the face of challenges in both your professional and personal lives. Sponsored by Hill's. Keynote Luncheon is open to full conference registrants. Guests and exhibitors are invited to attend a Viewing Party in an alternate location. Full conference registrants include veterinarians, technicians, practice staff and students. Doors open at 11:00 AM. Seating is first come first served.